It has now been more than ten years since Uber was founded. The emergence of the transport giant disrupted the taxi industry more than any other company had accomplished either before or since. Despite the various controversies that continue to plague the brand’s reputation, estimates now put the value of Uber higher than the market cap of the Ford Motor Company. The company has been credited for the burgeoning gig economy, allowing car owners to make side income from driving for Uber in their spare time. The Uber system also creates efficiencies by utilizing otherwise idle vehicles, and deploying smartphone apps so that drivers and riders spend less time seeking one another out. Now, it seems that blockchain could shake up the parcel delivery industry in a similar way that Uber did for ridesharing. Paket is launching the world’s first decentralized parcel delivery network. It will bring connectivity to a fragmented market and allow an individual to earn side income from carrying parcels around at the same time they are conducting their regular daily business. Since the rise of online retailing, the parcel delivery industry has seen a steady increase in the number of parcels being shipped from business to consumer (B2C). 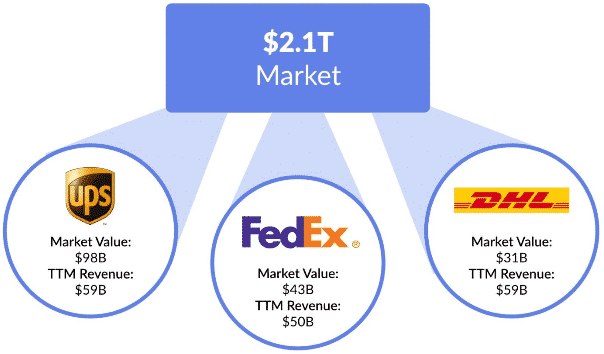 In turn, this has led to the increase of an industry problem known as “the last mile.” Whereas business-to-business (B2B) shipping was a market that could operate effectively around centralized hubs, B2C shipping means that the end recipients of goods are dispersed across a far wider range of locations. Therefore, the last leg of the delivery journey is generally the most difficult to manage efficiently. It ends up consuming much of the cost of the overall delivery. Part of the problem is market fragmentation. The players in the industry are comprised of big shipping companies like UPS or DHL, smaller local delivery firms, and even individual couriers. As things stand, there is no way for them to work together to manage the increasing demands of the market. The Blockchain in Transport Alliance (BiTA) consists of companies within the freight sector and has the goal of promoting common standards for technological advancements across its members. However, given that the alliance was only formed late in 2017, it has not yet disclosed any significant solution-based developments. 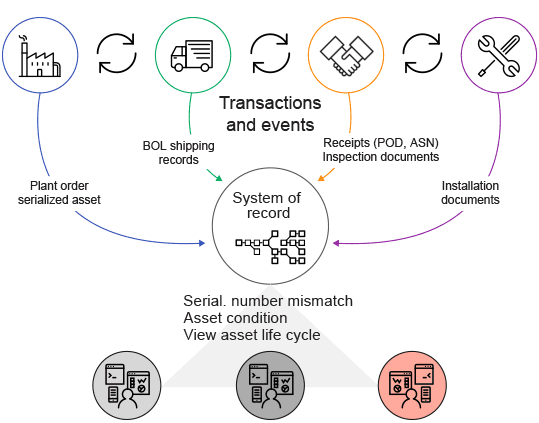 Paket aims to introduce a global blockchain-based system that will allow all players to work together seamlessly. It will also create the opportunity for individuals to participate, by carrying parcels on “the last mile.” In principle, this means that a daily commuter could take packages from a hub close to their city job, back to their hometown as part of their regular journey—and earn money for doing so. We can look at a simple example of how such a blockchain-based system would operate. Lily the Launcher wants to send a parcel to Rudy the Recipient. Lily engages Carl the Courier to send the package, in exchange for a fee that they agree between the two of them. The fee is to be paid in cryptocurrency tokens. They also agree on a final date by which Carl will deliver the parcel to Rudy. Lily is also concerned that the packet she wants to send to Rudy contains some items of value. As insurance against damage, loss or theft, she also requests that Carl put down a collateral payment, which would cover the cost of the parcel contents. A blockchain network can be constructed around smart contracts to manage this transaction between Lily and Carl. The fee Lily will pay, along with the collateral that Carl agrees to stake, are held in escrow. Once Rudy confirms receipt of the parcel, Carl receives the delivery fee from Lily, and his collateral payment is refunded to him. But if the delivery deadline passes without Rudy having received the parcel, then Lily has her fee refunded, and she gets the collateral payment from Carl. Now, let’s imagine that Carl cannot take the parcel all the way to Rudy himself, but only part of the way. On the Paket network, there is also Neo the New Courier, who can collect the package from Carl and make the final delivery. The protocol allows for Carl and Neo to split the delivery fee between them. At the point in time that Neo takes custody of the parcel from Carl, the smart contract will execute the refund of Carl’s collateral payment, and Neo stakes his own crypto tokens as collateral for Lily until he delivers the packet to Rudy. This model of “custodianship” can manage far more complex, multi-leg shipments, including overseas deliveries. Big shipping providers could take the segments of the trip between major cities or hubs and manage all the complexities of clearing customs. Smaller local providers or even individuals could collect the parcel from the hubs to manage the “last mile” delivery to the doorstep of the recipient. In the case of Paket, the protocol will also contain a “routing” layer within the system design. This will mean that the network can update the route that the parcel takes in real-time, selecting the cheapest and fastest way of getting the parcel to its destination depending on circumstances. If desired, the parties can also pre-define the route that the parcel will take. Paket is currently in development and preparing to launch later this year. Meanwhile, the BiTA Alliance continues to investigate broader solutions including insurance, asset management, and transparency.